Guest Post: Whitney and her Favorite Michigan Town. Last Thursday - the day I made my flight back to Michigan - Beautiful Whitney took over the monthly 6 Remix post for me and showed us 6 super cute outfits. 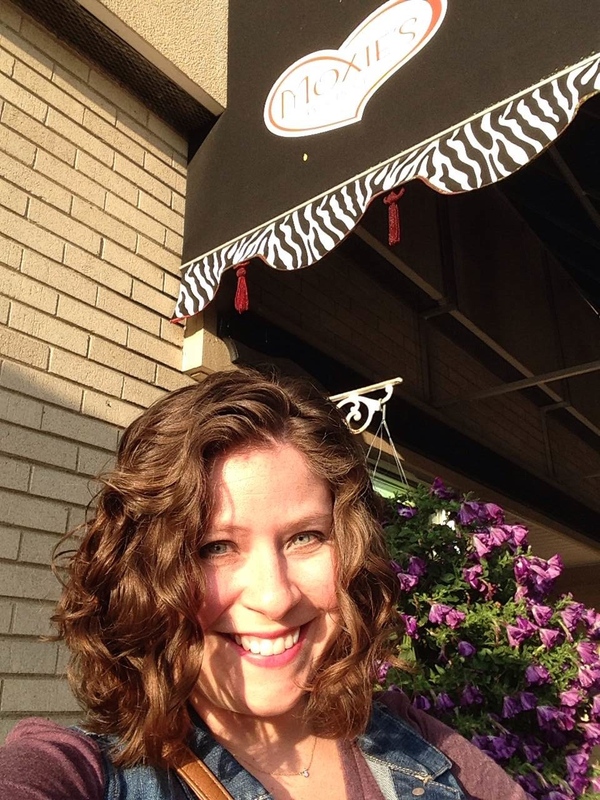 Today she is back sharing her love for Michigan or the Mitten State and talking about her favorite Michigan Town. 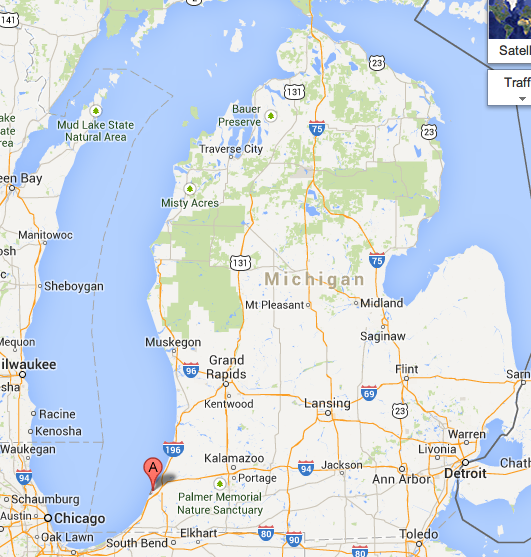 I agree with her that there is so much more to Michigan than Detroit we all know. Hey there! 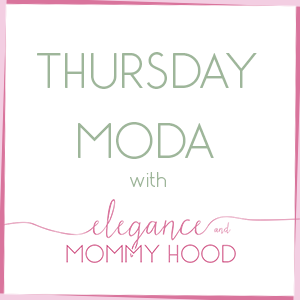 It's Whitney from Whitney à la mode and I'm back with a second guest post for Ada while she gets settled in Michigan! 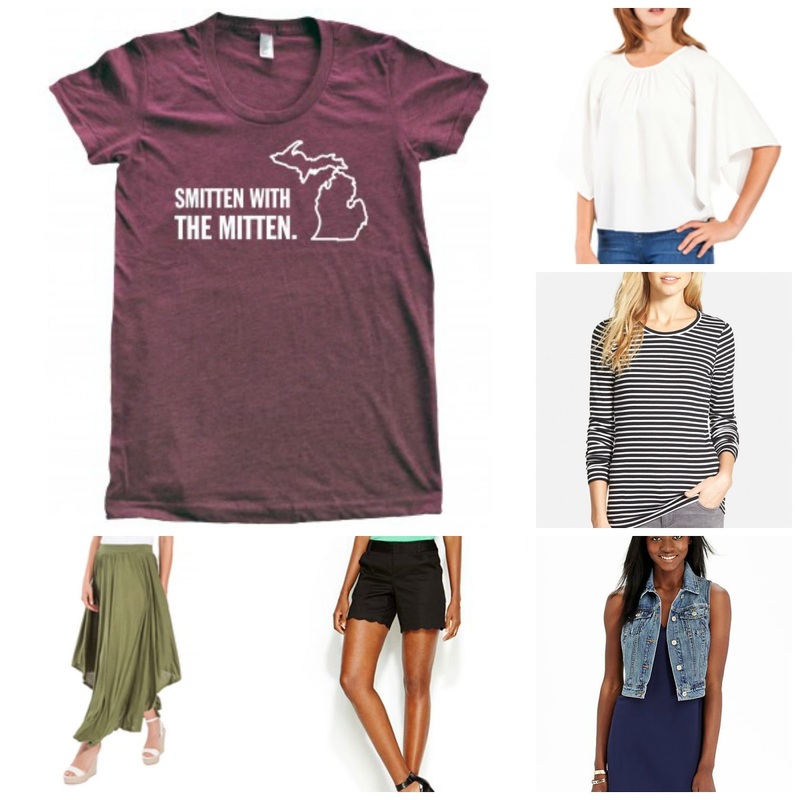 Speaking of the Mitten State, in my first guest post I showed you a 6x6 clothing remix featuring my favorite tee from Michigan Awesome. 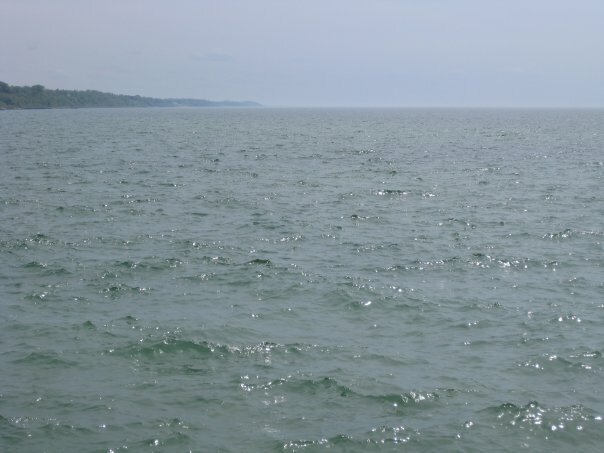 Today I'm going to continue to spread the Michigan love by talking about my favorite things to do in the Great Lakes State! When most people think of Michigan, they think of Detroit. While there are tons of unique and fun things to do in the big city, I want to tell you about my favorite Michigan destination, St. Joseph! I'm proud to call St. Joseph my hometown! It's a cute, little place located right on Lake Michigan. Our downtown features beautiful beaches, delicious restaurants and charming boutiques. If you ever make it to my neck of the woods, here are the things you have to see and do! 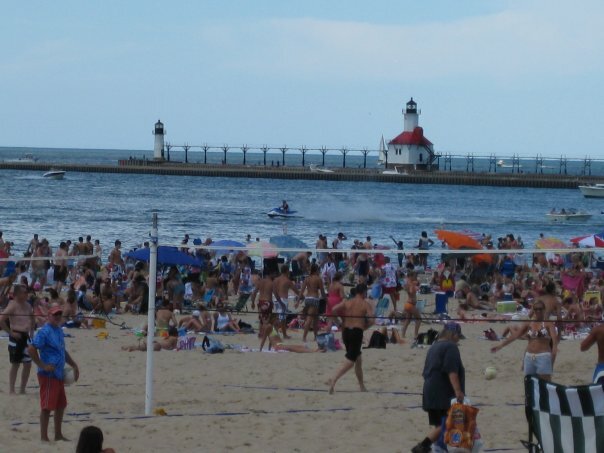 Obviously if you are on the coast of Lake Michigan, you have to visit the beach! There are many beaches to choose from in the area but the one located downtown is Silver Beach. 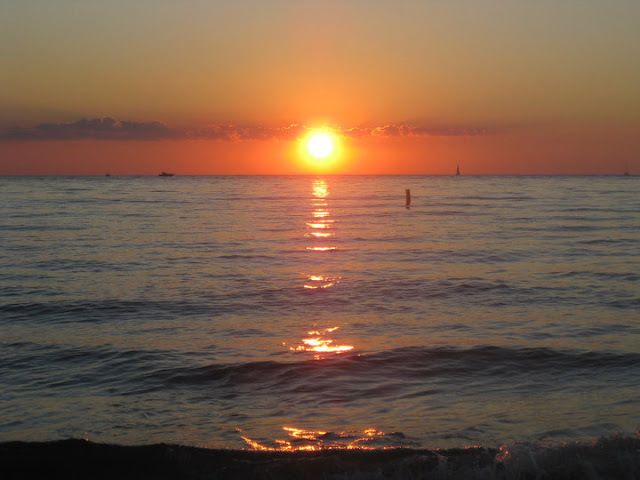 During the summer you can catch some rays, play volleyball and enjoy beautiful sunsets over the water. One of my favorite things to do is walk along the beach and down to the end of the pier to soak in the beautiful view. If you spend any time in the sunshine, you are going to be ready for a cold, sweet treat and Kilwins is the place to go! 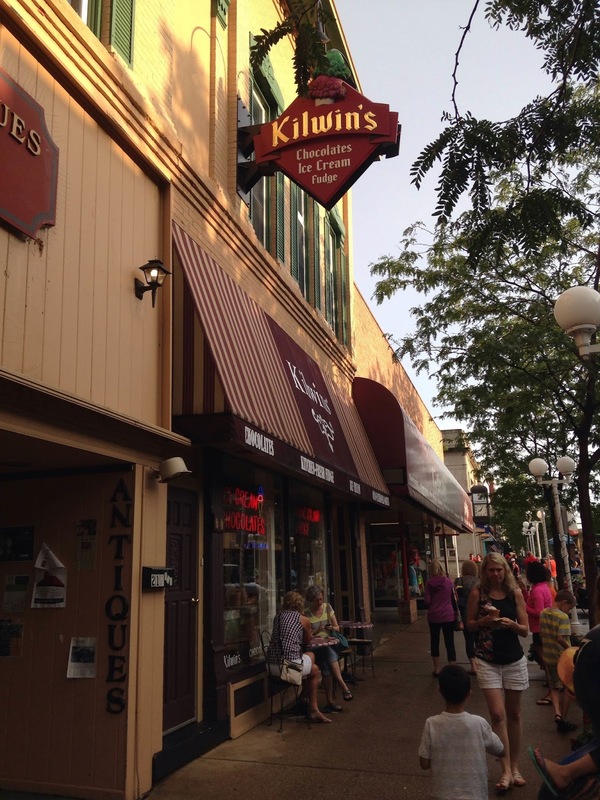 Serving ice cream, fudge, caramel apples and candy, Kilwins is a Michigan institution with a cool old-timey vibe! After enjoying an ice cream cone, you have to head back towards the beach to take a spin on the Silver Beach Carousel. It was built in the early 1900s but then closed in the 1970s. Since then, the carousel has been revamped and opened for use again in 2010. The horses are beautiful and many of them are special to the state of Michigan. 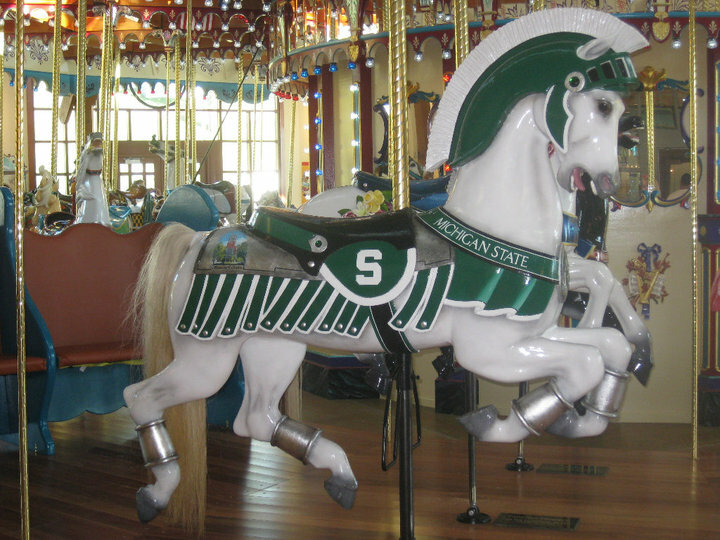 My favorite ride is the Michigan State Spartan-themed horse! No matter your shopping preference, there is a charming boutique for you in downtown St. Joseph! My favorite stop is Moxie's Boutique. They carry a huge selection of unique clothing, jewelry, and accessories. I could spend hours exploring the beautiful things they have to offer. 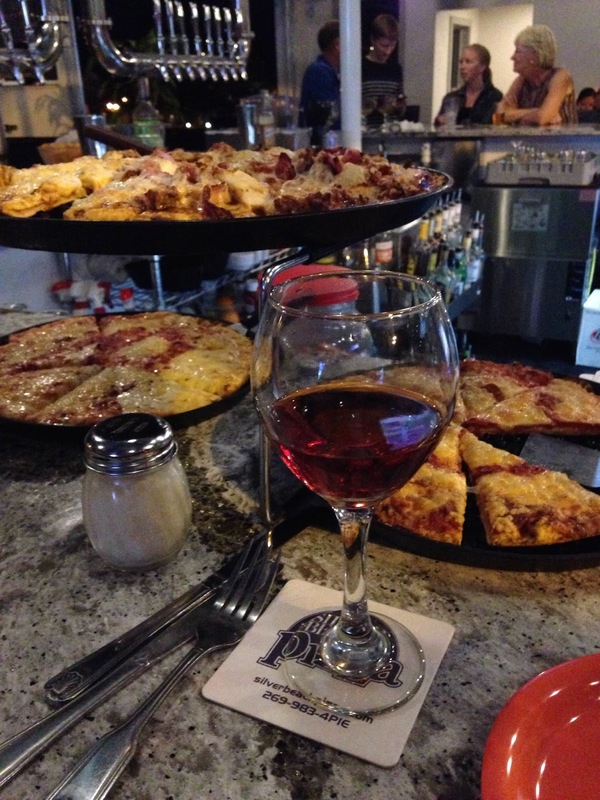 In my opinion, you'll want to end your night with a couple of cold drinks and some delicious slices of pizza at Silver Beach Pizza! 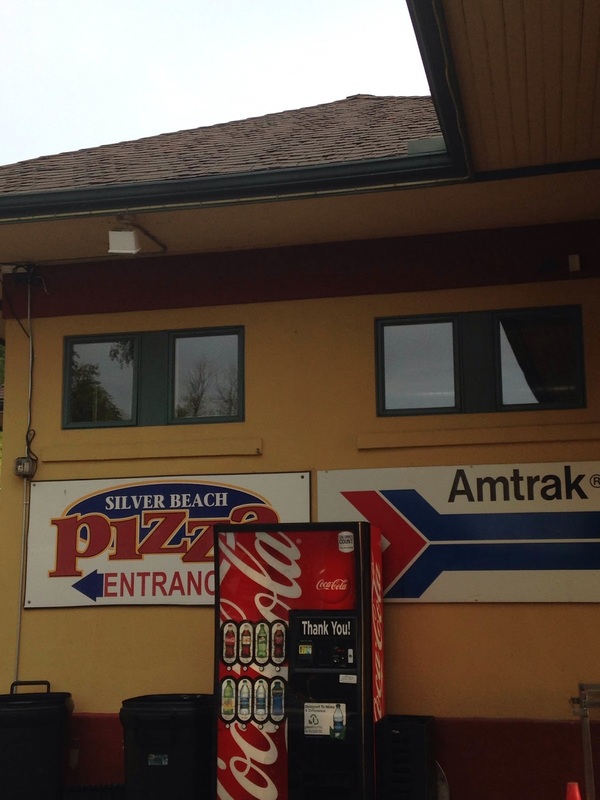 Situated in an old Amtrak Depot, the atmosphere is interesting and the food is delicious. 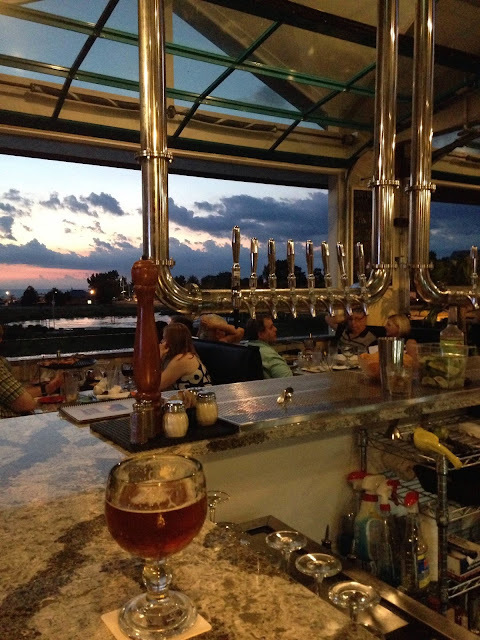 Recently they've even opened rooftop seating! Just let me know when you want to meet me in St. Joe! I have only heard (never been to) St. Joseph but Whitney's love for her hometown makes me want to go there ASAP. Whitney and I plan to meet later this Summer so maybe I should visit her in her beautiful town. Oh and I agree about Kilwins - if you ever visit Michigan that is the place to go for their world-known fudge and great ice-creams.